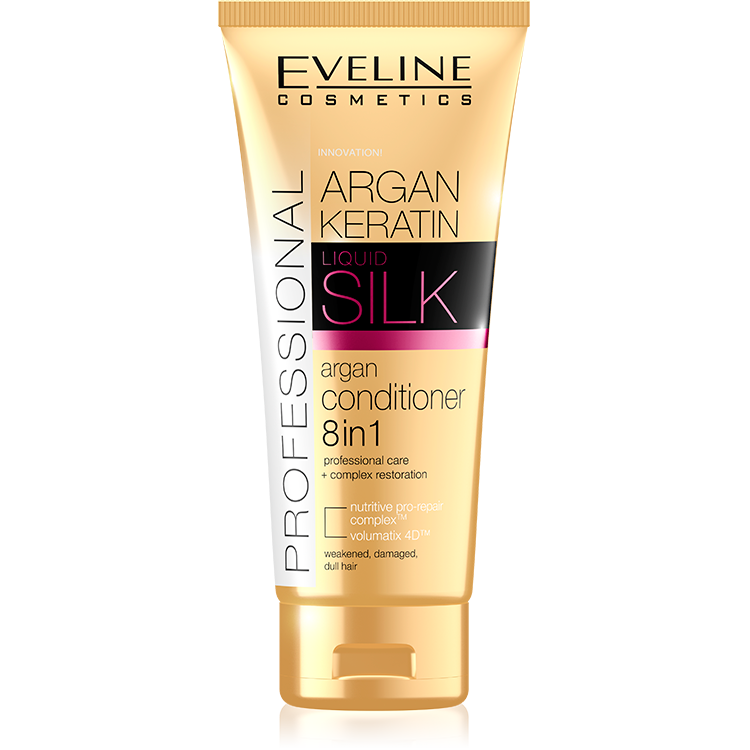 ART STYLIST PROFESSIONAL 8in1 conditioner deeply regenerates and moisturises hair, restoring its healthy look and natural shine. NUTRITIVE PRO-REPAIR COMPLEX™ innovative formula and triple power of argan oil visibly improves hair condition just after first use. Hair becomes perfectly smoothed out, resilient, shiny and styles beautifully. HAIR STYLISTS RECOMMEND: If your hair requires intense regeneration, leave the conditioner on hair for 10 minutes. Rinse the conditioner off with lukewarm water to close hair scales and maintain nourishing substances in them. To enhance the effect of hair lifted at the roots, always rinse the hair off with the head bent forward. 1. Restoration of hair structure.